The Latin Grammy Award is an award bestowed by The Latin Academy of Recording Arts & Sciences to recognize outstanding achievement in the Latin music industry. The Latin Grammy honours works produced anywhere around the world that were recorded in either Spanish or Portuguese and is awarded in the United States. However, both awards have similar nominating and voting processes, in which the selections are decided by peers within the music industry. The first annual Latin Grammys ceremony was held at the Staples Center in Los Angeles on September 13th 2000. Broadcast by CBS, that first ceremony became the first primarily Spanish language primetime programme carried on an English-language American television network. The 16th Annual Latin Grammy Awards were held at the T-Mobile Arena in Paradise in Las Vegas, Nevada. Currently, the awards are broadcast in the United States by the television network Univision. 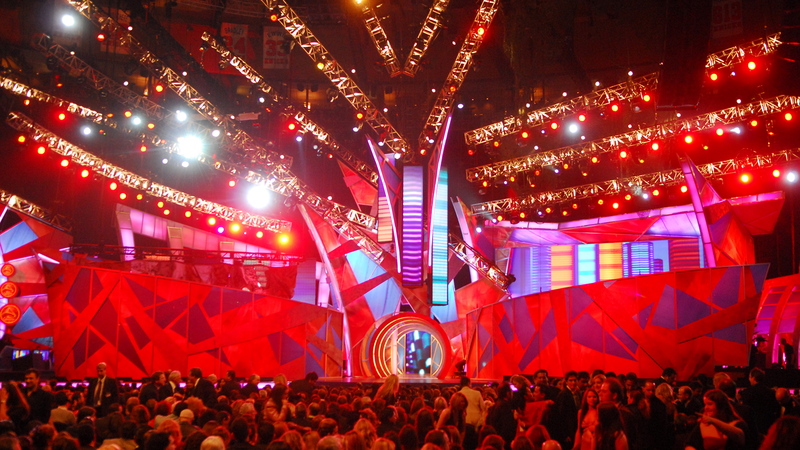 In 2013, 9.8 million people watched the Latin Grammy Awards on Univision, making the channel a top-three network for the night in the U.S.
Diamond/Floor seating – Diamond seating is on the floor. This is the section that the VIPs, Nominees and Celebrities are seated in and is the MOST EXCLUSIVE CATEGORY OF SEATING THERE IS!